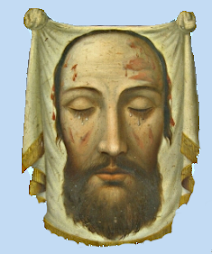 There is no better way of sanctifying this beautiful month, and of gathering all its holy lessons, than to fix our eyes constantly and faithfully on our mother during these days of mercy. She it is who is to speak to us, her prayers will obtain for us the grace to understand her. By studying what was her life on earth, we shall understand what ours ought to be. Let us not fear to follow an example so far above us. Let us not measure with alarm, the distance between our nothingness and her glory. Let us not say to ourselves, "How can I, a poor creature, imitate her who was so perfect as to merit to become the Mother of God?" This spotless life, which has been for so many centuries the subject of the meditations of the Saints and the admiration of Heaven and of earth, is, at the same time, the most humble and hidden of lives, the poorest and most suffering, the simplest and the one most like our own. It is super-human and heroic, only because it is perfect in each detail. Though her life is more exalted than that of any Saint, it is not, with the exception of the prodigy of her divine maternity, that it contains more extraordinary actions, or more striking miracles. We do not even see in it, the wonders that are seen in the lives of many Saints, so completely is it veiled by humility. But what raises her life above all other human lives, is the fact, that it is uniformly wonderful and holy from birth until death, whereas, in the Lives of the Saints, so long as they are on earth, we see striking virtues mingled with imperfections and faults. Is there one of us who can render this testimony to himself, that his life is uniformly consistent ? One corner of a field is sometimes luxuriant, while the rest is thin and bare. This is our own history ; good parts and many bare places. We shall never find this in the Life of the Blessed Virgin. 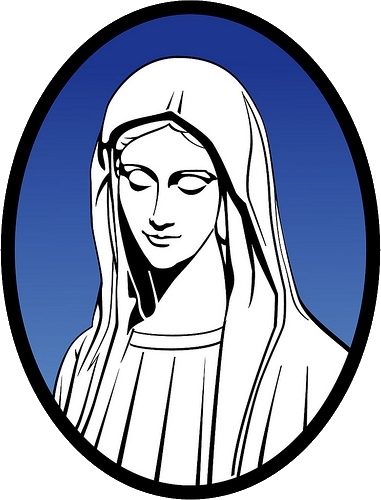 Her life is as simple and humble as that of the simplest and meanest amongst us, but it is perfect; and, whereas in the life of the best of us, there is not a day in which a close observer might not find more than one fault, the more we contemplate the Life of our holy Mother, the greater are the treasures of grace and virtue which we there discover. Ought we then to be discouraged at the sight of her perfection, and because we cannot possess the whole treasure, shall we give up gaining even a small part of it? This would indeed be foolish. Let us look closely at the Life of our Mother. If we fix our eyes upon any one of those virtues which shine forth so gloriously in her, does it not seem to be within the reach of each one of us ? Love of God, obedience, deep humility, labour, generous and contented poverty, such was her life, and such should be ours also. Our poor human nature will doubtless often fail, where this privileged creature never even faltered, for, although our original sin has been cleansed by baptism, we are still like convalescents, cured by the grace of God of a terrible disease, but left weak and liable to fall. Exempt from this infirmity, and always faithful to grace, the Blessed Virgin pressed on towards God with an untiring strength, which we can never know. But we can follow her at a distance ; we can love and obey God, humble ourselves, keep up our courage in labour, and preserve our peace in suffering, if not like her, at least, strengthening ourselves by her example; and if we fall, where she never faltered, we can rise quickly, and quicken our pace in order to regain lost ground. It was by the superhuman and perfect practice of virtues, humble in the eyes of the world, that she attained to so high a pitch of glory. As she tells us, in her beautiful canticle, it was the humility of His handmaid which the Lord regarded, and on account of which, all generations shall call her blessed. And we also, by practising these same virtues, to the utmost of our power, can attain to everlasting happiness and glory. We shall find rest after our labour in the kingdom of God, far below our mother, but at the foot of her throne, and we shall rejoice for ever in her presence, and in that of her Son. Let us, then, study this holy life, which should be our model, and when we see that our Divine Saviour and His holy Mother were pleased to share our hardest labours, and in the midst of troubles and fatigues, far greater than ours, to fulfil all the duties of the humble life they had chosen for themselves, we shall learn to reverence the duties of our life, and shall understand that it depends upon ourselves, to make them the means of our salvation. We shall learn the secret of that virtue, which at once ennobles and lessens suffering; free and willing acceptance of all trials, for God's sake. Who ever practised it more perfectly than Mary? She, the daughter of kings, united herself to the lowly Joseph, like her, a descendant of David, like her, poor and happy in his poverty. She laboured with him, and like the wives and daughters of the poor, she had her hard share of a hard life. When the time came, that God revealed to her her high destiny, with the same humility she accepted this glory, which raised her above all other women, and made all generations call her blessed. "Behold" said she, " the handmaid of the Lord; be it done unto me according to Thy word" She took a sublime part in the work of our redemption, she also participated in all the sufferings by which our Divine Saviour obtained our salvation. Behold her, some hours before the birth of her Divine Son, passing through the streets of Bethlehem with Joseph, overcome by fatigue, asking from door to door a shelter, which is everywhere refused to her. With what meekness she bore her sufferings and this unkind reception! When a stable became the first sanctuary of the Son of God upon earth, see how she worshipped Him in His poverty; receiving in a like spirit the homage of the shepherds and of the eastern kings! When, according to custom, she went up to the temple to offer her beloved Son to God, the holy and aged Simeon took the Divine Child into his arms and proclaimed Him the salvation of Israel, then cast upon the kneeling mother a look full of reverence and compassion, and announced to her, that her Son would be a sign to be contradicted by men, and that a sword of sorrow would pierce her own soul. This holy daughter of Israel, who daily devoted herself to the meditation of the sacred books of her people, read in the words of the prophets the long list of her own sorrows and of the sufferings of her Son. Was there a sound of murmuring or complaint in her spotless soul? No; she bowed her head as on the day of her Annunciation, and again the Mother of God said in her heart, "Behold the hand maid of the Lord, be it done unto me according to Thy word." Throughout the life of Mary in the Gospel, wherever the veil of humility which covers it is raised, we see this willing acceptance, which gave her so large a share in the sufferings of the Passion, and merits for her so much love and gratitude from us, since she has suffered all for us. We see it stronger and more generous than ever at the foot of the Cross, where Mary stood and bore for us that dreadful suffering which every mother's heart will enter into; where she surpassed in courage all other mothers, in adopting as her children those whose sins had just caused the death of her Son. Lastly, we see her accept, for the love of us and the good of the infant Church, the grief of surviving her Son, until, the measure of her merits being filled up, the heavens opened to receive her, and the Angels bore their Queen to the feet of the Father, whose chosen creature she is, of the Son whose Mother she is, of the Holy Ghost whose Spouse she is. If Mary accepted all, what is there which we will not accept ? We who have deserved every trouble which God in His mercy sends us, have we not justice enough in our hearts to weigh in an even balance our guilty lives and Mary's spotless life, and to blush to see how far are the sufferings of which we complain, from equalling those accepted by her without a murmur ? There are many different paths leading to that beautiful Heaven, which is our true home, some are rough and hard to climb, others there are, easier in appearance, but we cannot see their windings, and they may be beset with many changes and many sufferings. Let us walk boldly in the path in which our heavenly Father, who knows our need and the measure of our grace, has directed our first steps. Let us not turn back to seek an easier path, we shall lose our time and trouble. Above all, let us not stop to cast an envious look on him who ascends by another side of the mountain. Let us learn that no human creature has ever trodden any of these paths without fatigue and peril, and that the steepest is sometimes the shortest and the best. Let us lift our heads and look, not at the rough path, but at the Heaven to which it leads. Mary, the morning star, will comfort and guide us by her pure light. Mary, the gate of Heaven, will help us to reach the goal, where each one of our sufferings will be rewarded a hundredfold. Hail! thou our Queen and our model! Hail! thou who hast suffered more than we! Hail! thou who rememberest thine own sorrows, only in order to pity those who suffer with an exceeding compassion. Hail, O Mother of Mercy! To thee we poor sons of Eve, exiled so far from Heaven, send up our cries and sighs, weeping and mourning, in this vale of tears. We beseech thee, our advocate, turn on us those .merciful eyes of thine, which have known tears only the better to understand those which we shed. Help us as we painfully climb the steep ascent. Help us to reach the heights on which we shall find God. And when we have left far behind us the exile of this world, show us for evermore our sweet Saviour Jesus, the blessed fruit of thy womb. Often to compare our sufferings with those of the Blessed Virgin; to suffer and accept all patiently, after her example.